The flaming aurora borealis may sometimes entertain us with their playful dance long into the night, while at other times, this mystical natural phenomenon may disappear in the blink of an eye. Before being scientifically explained, this beautiful natural phenomenon induced many mystical beliefs. 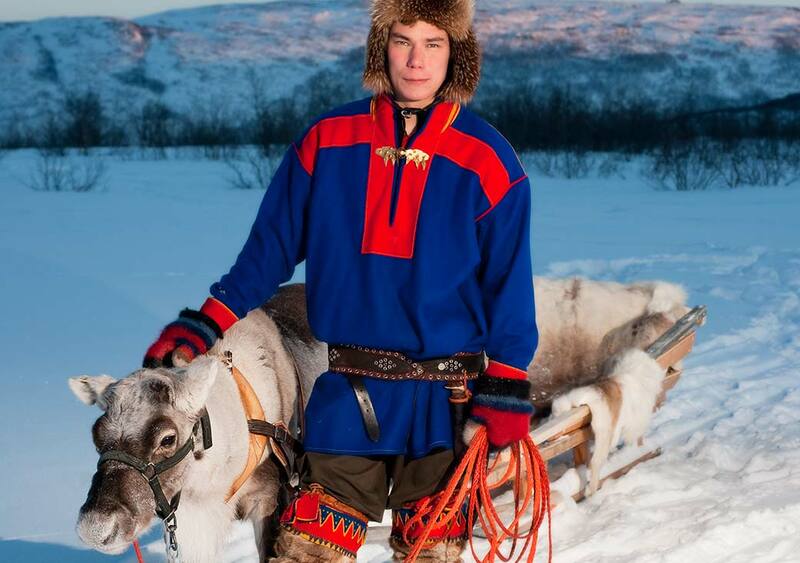 The Sámi people, in particular, had many beliefs about the Northern Lights. 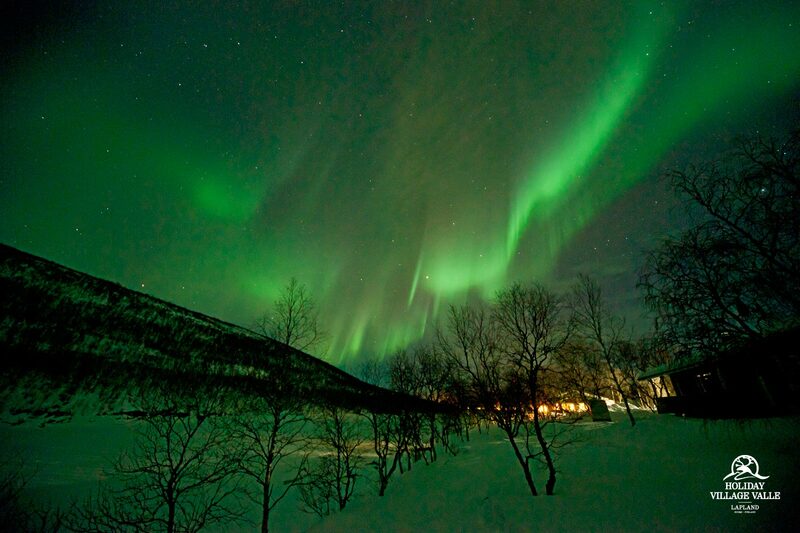 During our Northern Lights explorations, we strive to find an ideal place for seeing the Aurora Borealis. 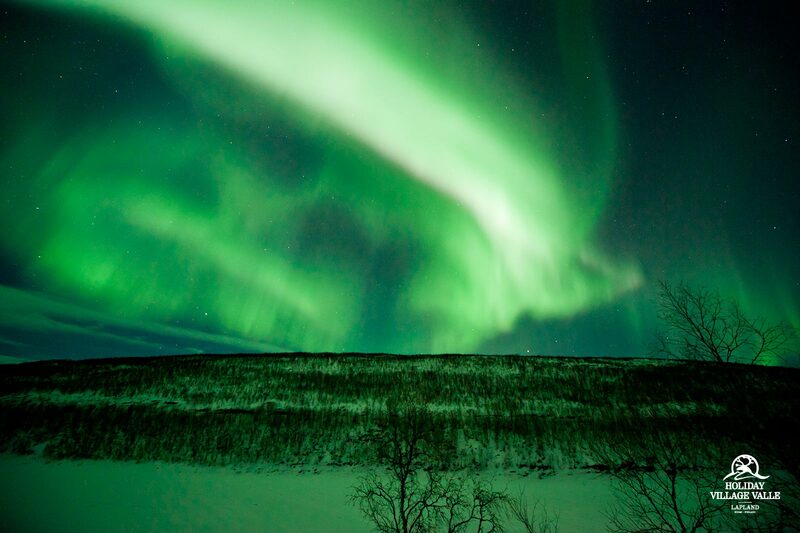 On default all our Aurora tours start at 19:30 and last 2-3 hours, but we are also flexible of departure times based on circumstances and time of year. 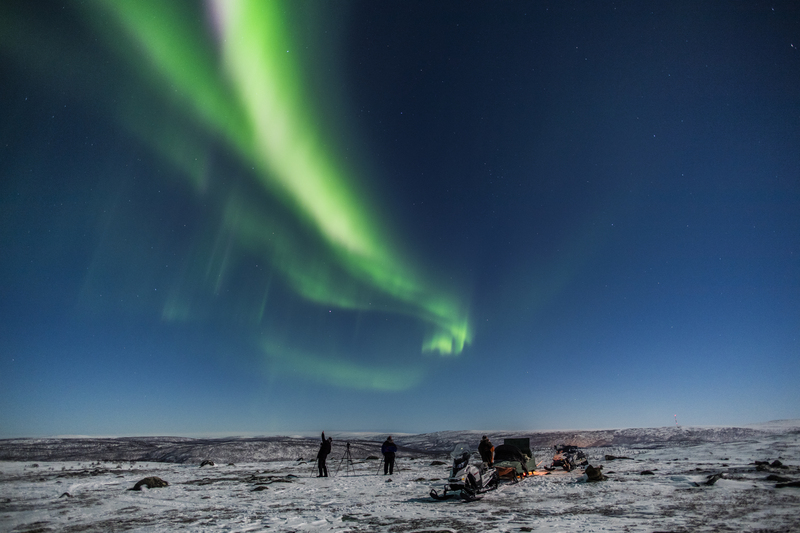 We follow various aurora forecast applications and weather permit to plan our Aurora tours to ensure our guests can enjoy this natural phenomenon. 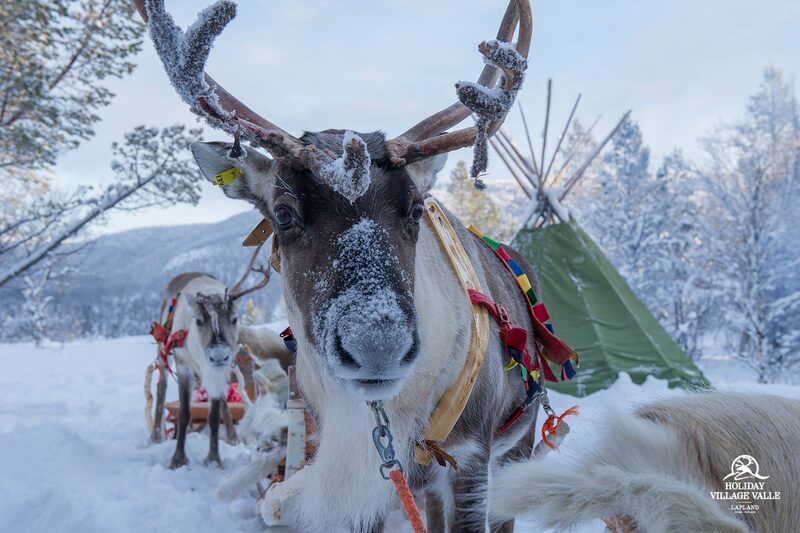 We are able to go to the fells in sleighs pulled by snowmobile, take a car or a bus to drive further away or snowshoes to stay in the surroundings based on the current situation. 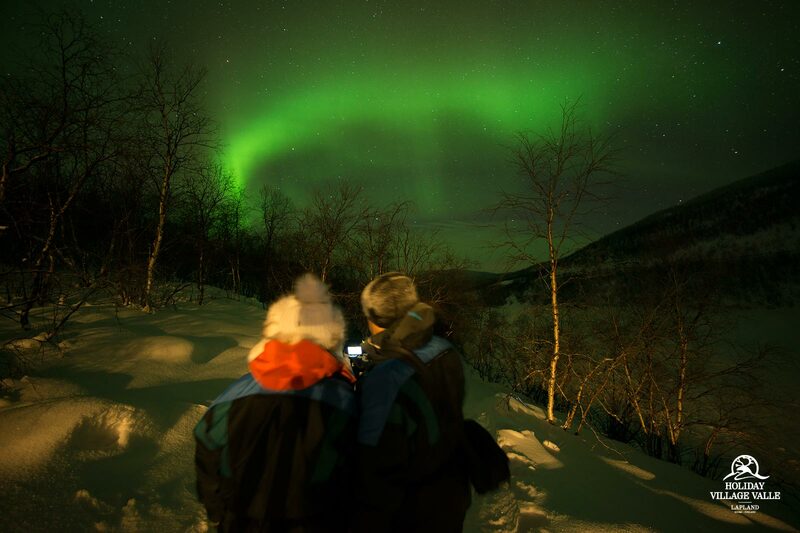 During every Aurora tour, we explain what the aurora borealis meant for the Sámi people in the olden days. Your hosts will greet you at your accommodation. 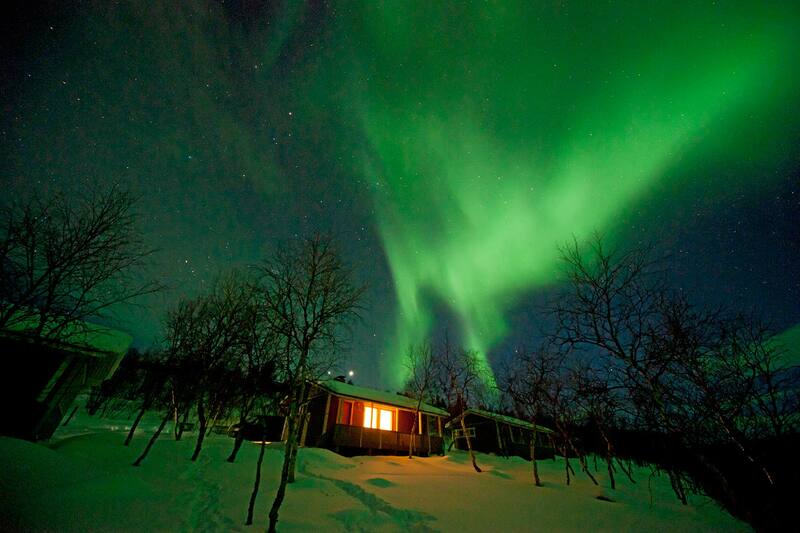 You can head to your cabin or hotel bedroom to enjoy your first peaceful night in the very north of Finland. After breakfast you have free day. You can relax and enjoy the silence of the area, or maybe you want to do a snowshoe or cross-country skiing trip in nearby nature by yourself. You can also take a walk to the village house Giisa, where the locals also like to come to share the news of the day. You can also book additional activities. Breakfast and free time depending on departure time of your flight. 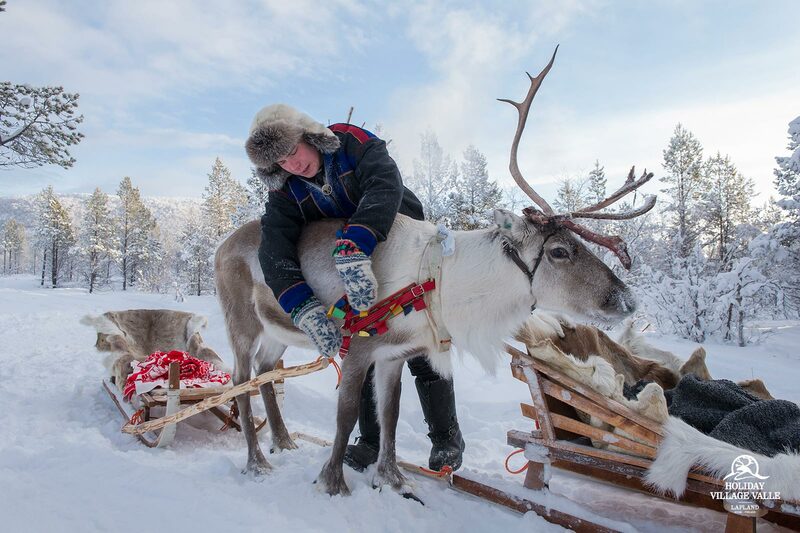 Check-out and transfer to Ivalo airport. Bye-Bye amazing Sámiland! Children: From 728€/ child 4-11 years, when with min. 2 adults in the same cabin or in extra bed in hotel room with two adults. 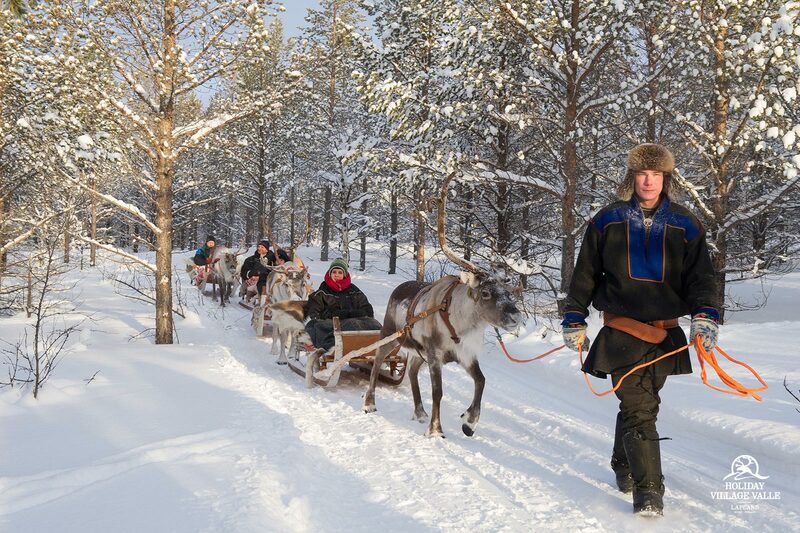 Transfers from airport Ivalo to Utsjoki and from Utsjoki back to airport, 4 nights in cozy hotel rooms with shower/wc or in holiday cabins (2-4 persons per cabin), half board ((5 x breakfast & 5 x dinner), activities as mentioned in the program, warm outdoor clothing for the whole stay (warm overalls, socks, mittens, boots, hat), necessary equipment for the activities, English speaking wilderness guides and hosts.